How to watch Little Princess: Season 3 (2007) on Netflix Canada! Yes, Little Princess: Season 3 is now available on Canadian Netflix. It arrived for online streaming on December 31, 2017. We'll keep checking Netflix Canada for Little Princess: Season 3, and this page will be updated with any changes. Based on the best-selling children's books by author-illustrator Tony Ross, this animated series follows the curious and charming Little Princess. 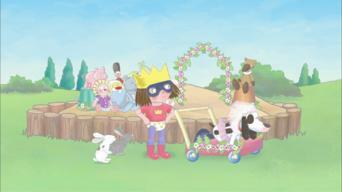 With lots of friends by her side, including a cat, a dog and a teddy bear, a young girl sets out to make every day fun. Season 1 of Little Princess has 30 episodes. Because different Netflix countries have different availability for episodes, you'll need to check the episode listing below to see which are available in Canada. 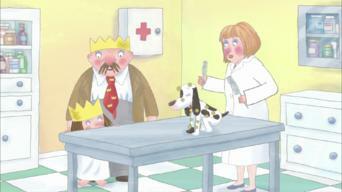 One of Little Princess's lovely white teeth falls out -- just before the royal family photograph! Little Princess is not happy with everyone doing everything for her. But when she decides to go it alone, things don't turn out to be quite so easy. Little Princess really isn't ready to go to bed. Why should she have to sleep when everyone else is wide awake?! Little Princess can't decide what she wants to be when she grows up. So, with the help of her friends, she sets about trying lots of different jobs. 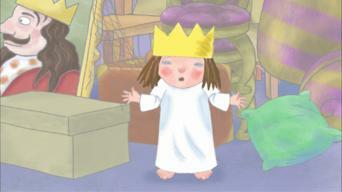 When Little Princess discovers that everyone in the kingdom can whistle except her, she sets about finding her own special noise. Little Princess doesn't want to give up her dummy, and when it starts mysteriously disappearing, she's determined to get it back! When Little Princess loses things that her friends have lent her, she sets out to try to remember just what she did with them. Little Princess does not like baths. In fact, she'll do anything to avoid them. But it's soon clear that she'll have to have a bath sooner or later. 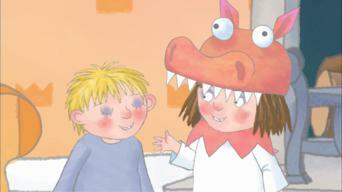 When Little Princess gets into trouble, she just doesn't know whether to own up or let poor old Scruff take the blame. Little Princess hates having her hair combed, but she discovers it's a lot more fun combing other people's hair. 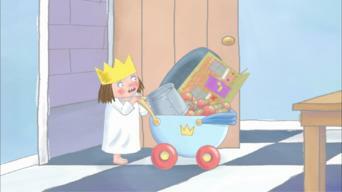 When Little Princess grows her own tomato plant, she discovers that tomatoes can actually be a lot of fun. Little Princess decides to learn some magic tricks for a show. But she's soon in for a shock when the magic works a bit too well. Things get tricky for Little Princess when the mess in her room gets out of hand and teddy bear Gilbert suddenly goes missing. When a new music box arrives at the castle and captures everyone's attention, Little Princess decides she should play an instrument too. When Little Princess gets a new paddling pool to play in, she discovers that playing by herself isn't quite as much fun as sharing. Little Princess loves playing in the mud. But when she discovers a slimy worm, the fun stops. Either she or the worm is going to have to leave. 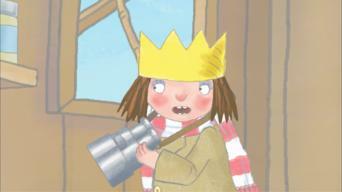 When Little Princess loses her voice, she has to find a new way to make herself heard. Before long, everyone wants her to get her voice back! 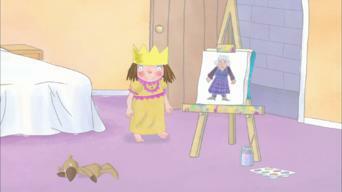 When teddy Gilbert's leg falls off, Little Princess is very upset. So while he rests, she sets off to find a playmate to take his place. When Little Princess tries to make the perfect tent, things don't go according to plan. But if at first you don't succeed, try, try again. 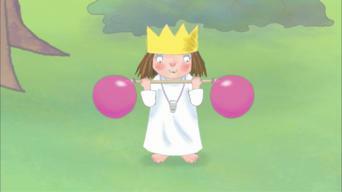 Little Princess decides she is going to win all the games she plays. But she's in for a bit of a shock when someone finally stops her winning streak. Little Princess has a cold, and she's not happy about it. 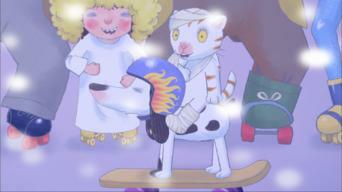 But a runny nose won't stop her having fun -- even if she has to bend the rules a little. When Maid has her day off, Little Princess decides to look after things at the castle for Maid while she's gone. 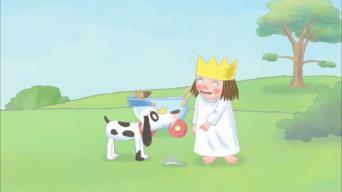 Little Princess finds a tadpole and soon discovers that wild animals don't make the easiest of pets. Little Princess decides to bake the General a birthday cake. But Chef had the same idea. Will the castle kitchen be big enough for the both of them? When the leaves start falling off the trees and reveal the Little Princess's secret summer hiding spot, she decides she's going to stop autumn. Little Princess is not happy when she discovers she has head lice -- and the rest of the members of the household are trying to avoid her. Little Princess gets a lovely pair of new, sparkly shoes, and she really doesn't want to take them off. When Little Princess's pet snail Speedy dies, she decides to give him a proper funeral so that she and the household can say goodbye to a good friend. Little Princess is getting bigger and can't fit into her favorite clothes anymore. But that doesn't mean she's ready to give them up just yet. 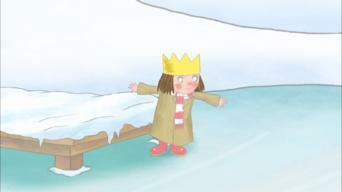 Little Princess wants a brand-new shiny sledge to play on. But when she finally gets one, she realizes that "new" doesn't always mean better. Season 2 of Little Princess has 35 episodes. Because different Netflix countries have different availability for episodes, you'll need to check the episode listing below to see which are available in Canada. Little Princess's new shop in the castle is a big hit, until her customers discover that the merchandise she's gathered all belongs to someone else. Little Princess decides to run all the races herself when she's stuck with Scruff and the Admiral on her team for Sports Day. Little Princess loves pirates and decides to become one herself, but she soon learns that it's not as much fun as she imagined. When she hurts her foot on the way to the fair, Little Princess gets stuck at the castle. Luckily, the queen knows how to cheer her up. Little Princess just has to win the prize for best costume at the fancy dress party, but each of her outfits is a bigger disaster that the last! 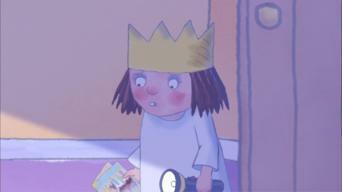 Little Princess just has to know what surprise gift is in store for her upcoming birthday, so she sets out to find its hiding place. Little Princess's tricycle is just too slow and she decides it's time for a two-wheeler. But riding a bicycle isn't as easy as it seems. Little Princess hides when she overhears her parents talking about her. Are they really going to send her away, or did she misunderstand? Little Princess is the only one in the castle without a best friend, so she decides her baby cousin would be perfect for the job. Little Princess isn't looking forward to Great Aunty's visit because she always has to give her a kiss. Is there a way to avoid the awful greeting? 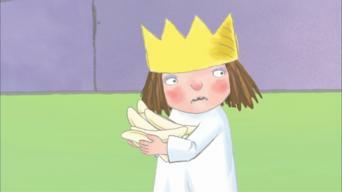 Little Princess prepares all the ingredients for the perfect midnight feast, but will she be able to stay awake long enough to enjoy it? When she's sent to the Naughty Step, Little Princess must be good for the rest of the day if she wants to help decorate the Christmas tree. Little Princess's new crayons are so perfect and clean that she doesn't want to use them. So who's taking them out of the box when she's not around? Frustrated with not being able to reach everything, Little Princess decides to find a way to be taller, but nothing seems to work. When Little Princess gets a plaster cast on her leg, her bravery inspires the General when he needs a cast on his own leg. Little Princess breaks the rules and plays on her new swing without an adult around. When she falls off, who will be there to help her up again? Jealous of all the attention everyone's giving her baby cousin, Little Princess decides to try becoming a baby herself. Little Princess spends a day living in the garden shed as a cavegirl, but her primitive new life grows a little scary when night falls. 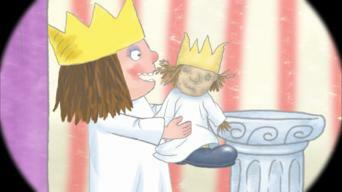 When she decides to put on a puppet show, Little Princess finds that getting things ready for the audience can be just as tricky as performing. 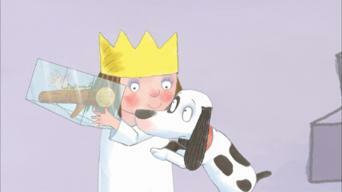 The queen can't help trying to figure out what Little Princess is giving her for Mother's Day, but even the princess isn't sure what it is. 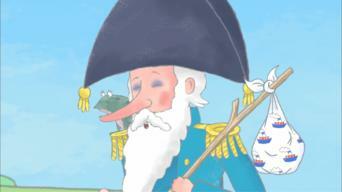 Little Princess discovers that her great-grandfather was an explorer, but she finds following his trail to Blue Boogaloo Land almost impossible. Little Princess admires the collections of everyone else in the castle, but she finds that starting one of her own isn't as easy as it looks. 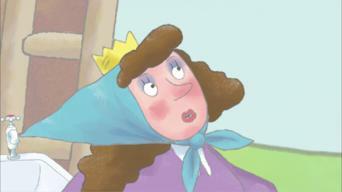 When she exchanges roles with her mother for the day, Little Princess soon discovers how hard it can be to be queen. When a rainy day keeps her stuck in the castle, Little Princess is bored until she finds her football, which isn't the best toy for playing indoors. No one in the castle wants to go play in the rain with Little Princess. After a few mishaps, she begins to understand why. 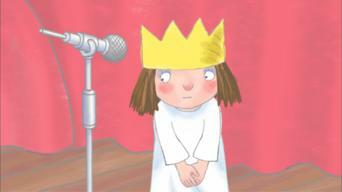 Little Princess puts together a show for Great Aunty's visit, but everything starts to fall apart during the rehearsal. Little Princess doesn't want to attend dance class, where they make her dance like a butterfly. But is she missing out on all the fun? 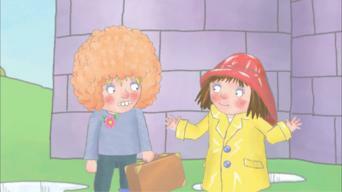 A postcard from Great Aunty gives Little Pirincess the idea of traveling, but will going on holiday alone be any fun? When Little Princess finds a sheep on the castle grounds, she makes him her new best friend, unaware that he belongs to someone else. Little Princess is always late when something fun happens at the castle, so she hatches a plan to make sure she never misses out again. Little Princess tastes baked beans for the first time, and now she can't get enough. But is it possible to have too much of your favorite thing? 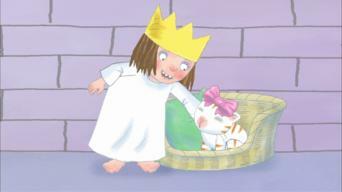 Little Princess lends her favorite teddy bear, Gilbert, to her baby cousin who's come to visit. But when it's time to go, will she get Gilbert back? Little Princess is the only one in the castle who knows the General's secret, and she's having a hard time keeping it to herself. Nothing can scare Little Princess -- except maybe the approaching thunderstorm. 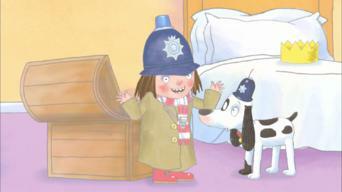 But can she be brave enough to rescue Scruff, who's stranded outside? Little Princess didn't find any chocolate at the treasure hunt last year, but this year she's found a map that will help her win. Season 3 of Little Princess has 35 episodes. Because different Netflix countries have different availability for episodes, you'll need to check the episode listing below to see which are available in Canada. Little Princess is delighted when Great Uncle Walter's Shetland pony, Horace, comes to stay -- until she discovers how stubborn he is. Little Princess watches an old slide show of the king and queen's wedding and decides that she wants to be a bridesmaid. A power cut hits the castle as the household is preparing a birthday party for Great-Uncle Walter. Can the celebration go ahead without electricity? 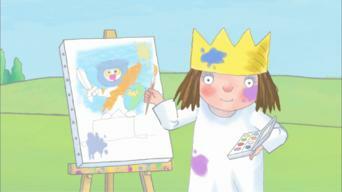 Little Princess, Algie and Maid compete to see who can build the best tree house. Princess wants to be a vet, but looking after sick animals isn't easy -- and the animals don't seem that keen on being treated. Little Princess ruins the brand-new dress given to her by Great Aunty when she plays with the scissors and glue without permission. 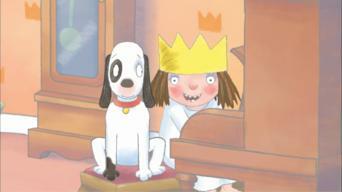 Algie visits the castle and is soon showing Princess how well he can train her dog, Scruff. Does Scruff really prefer Algie? Princess is learning to roller skate, but it's not easy and she's tempted to give up; however, she decides to keep on trying with her dad. 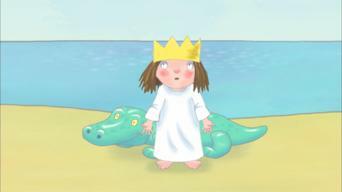 Little Princess and her friends are off to the seaside but are disappointed to find the beach empty, and worse still, it's raining. When a flock of unfriendly geese drives Admiral from his pond, Little Princess sets about finding a new role for him in the castle. 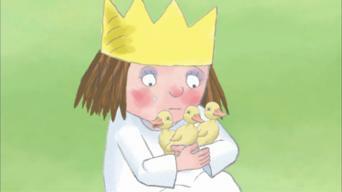 When Scruff finds three little duck eggs, Princess must look after the eggs, which soon hatch into three very hungry and playful ducklings. Princess is determined to win the golden rosette at the castle's annual pet talent contest but is not sure that Puss has what it takes to win. After General and Maid have an argument, Little Princess tries to help them be friends again. There is a singing competition in the kingdom and everyone is entering. 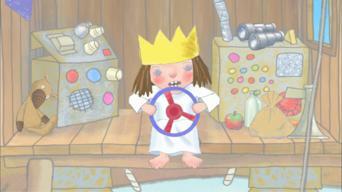 Little Princess is determined to win, but what song will she sing? Algie keeps playing tricks on Princess, so she decides that it's time to get back at him. But playing a joke on someone isn't as easy as she thought. After someone eats all Princess's freshly baked biscuits, like a true detective, she sets up a number of traps to catch the hungry thief. Princess is bird-watching, but wild birds aren't easy to spot when they keep flying off if they see or hear her. How can she get a closer look? 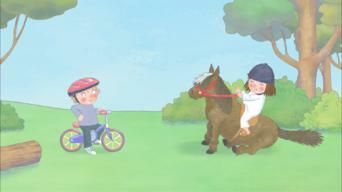 When General organizes a gymkhana, Princess is sure that she and Horace are the perfect team. But can they win against Algie and his bicycle? 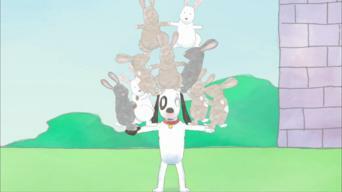 General wants to be strong so that he can impress Maid, and Little Princess is determined to help. Little Princess is very excited when Aunty arrives at the castle with a piano, but learning to play involves a lot of hard work and practice. Little Princess is leaving home to go to space, but despite all the stars and aliens, she soon realizes that her home is just as exciting. Princess does not like rules and decides to become a police officer so that everyone else in the castle has to follow the same rules she's given. 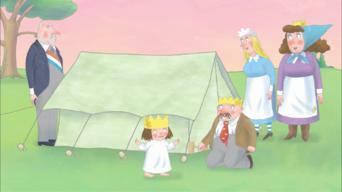 Princess is delighted when everyone is locked out of the castle, as it means they will have to spend the night camping. Realizing the importance of not wasting things, Princess must think of ways to recycle all the old rubbish she has saved from being thrown out. 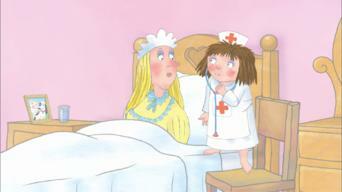 Maid is not very well, which is good news for nurse Princess because she's been looking for a patient to care for. Princess never wins at hide-and-seek. That is, until she finds a hidden room in the castle, which she decides to keep secret from the household. 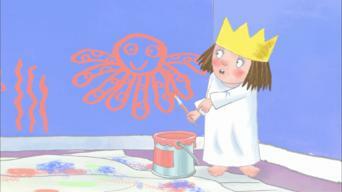 Princess wants to redecorate her bedroom but cannot make up her mind what color to paint it. 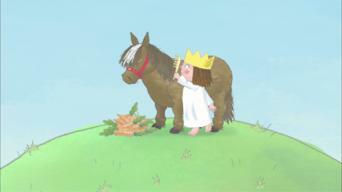 Princess is delighted when Scruff finds a lost tiara, until she discovers it belongs to Maid. Will Rachel keep it or return it to the rightful owner? Princess wants to become famous for doing lots of wonderful things so that she can have a statue made in her honor, just like her Great-Uncle Walter. 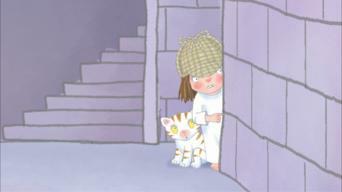 While having a sleepover at the castle, Princess persuades Algie to join her on a nighttime dragon hunt. Princess tells Algie she's an ace ice skater, but when everyone comes to watch her, she must decide whether to admit that she exaggerated her skills. 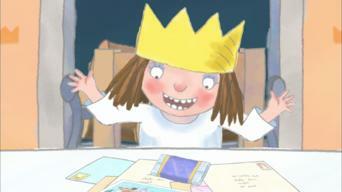 Little Princess wants to receive a letter in the post, but she needs to find someone to write to first. How will she find herself a pen pal? 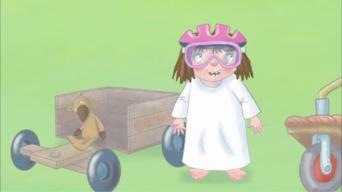 Little Princess and Great-Uncle Walter team up for the castle go-cart race. Little Princess has opened her own café with Algie as her waiter, but Algie does not like being told what to do. Princess is looking after Sticky, Great-Uncle Walter's stick insect, but Sticky does not always stay where he is supposed to.